A new management team and restructuring in January 2017 provided the foundations for the Company’s ongoing growth strategy. The quality of the assets and low-cost base mean that the Company is well placed to create value for investors as its roadmap for growth combines near term production with medium and longer-term development opportunities. In 1996, Trinidadian born Bruce A. I. Dingwall, CBE founded and assumed the role of Chief Executive Officer of Venture Production Plc (“Venture”), a leading UK oil and gas exploration and production company with focused activity on the North Sea and Trinidad & Tobago (“T&T”). Bruce later went on to lead a management buyout of Venture’s T&T assets which he continued to operate under the newly formed entity Ten˚ North Energy Limited (“Ten Degrees”). Ten Degrees’ assets included Onshore fields (WD-13, WD-14 and Tabaquite) and West Coast Assets (Guapo Bay/Brighton Marine (“BM”) and Point Ligoure Marine Area). During the period 2007 to 2011, Ten Degrees continued to expand its portfolio with the acquisition of Lennox Production Services Limited and Pioneer Petroleum Company Limited, which together added five (5) onshore blocks: FZ-2, WD-2, WD-16, GU-1 and Oilbelt Services Limited which held the onshore block WD-5/6. In 2011, a corporate restructuring and rebranding of the Ten Degrees group of companies was undertaken with the incorporation of a UK parent company Trinity Exploration & Production Limited (“Trinity”). Subsequently in 2012, the West Coast Asset portfolio was expanded with the execution of the Point Ligoure, Guapo Outer Marine and Brighton Marine Block (“PGB”) Licence. This facilitated Trinity operating additional offshore acreage. On 13 February 2013, the reverse acquisition of AIM listed Bayfield Energy Holdings Plc paved the way for Trinity to become a publicly listed company on the London Stock Exchange. This transaction allowed the Company to be re-admitted under the ticker TRIN as Trinity Exploration & Production Plc. This reverse acquisition enabled the further expansion of Trinity’s portfolio to include the Bayfield group of companies which held and operated the Galeota Licence situated offshore on the East Coast of Trinidad. 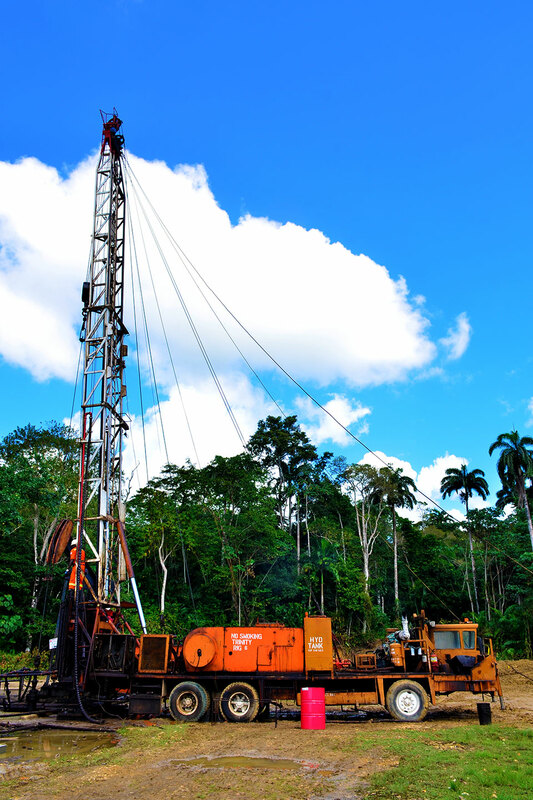 In December 2013, Trinity made a successful discovery (TGAL-1 well) within this Galeota Licence. This discovery was the only local find of new crude for that year. Over the period 2015 to 2016, significant milestones for Trinity included a change in Management along with the disposal of two (2) of its onshore blocks: GU-1 and WD-16 which it deemed to be non-core to its operations. In January 2017, a restructuring exercise of Trinity was successfully completed thus placing the Company on a more stable foundation. The Company during this period was able to adapt its operations to the more conservative oil price environment while still being able to remain cash flow positive.